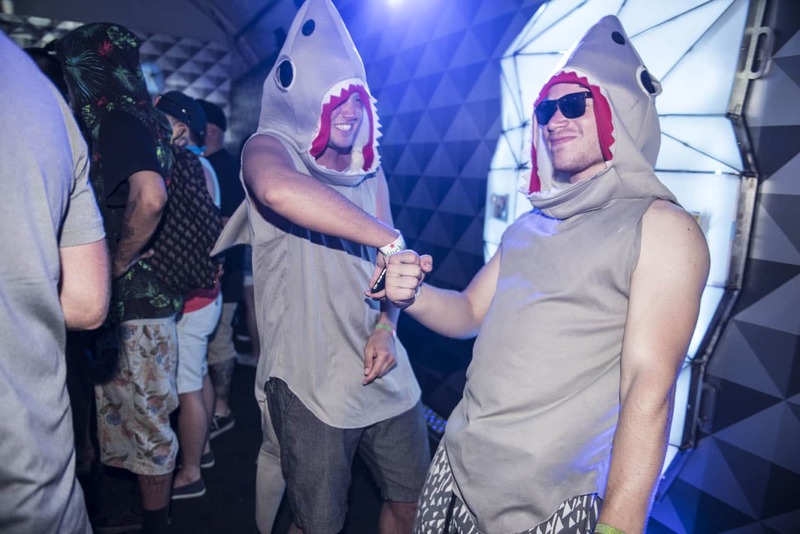 It was like a whole other festival in there. 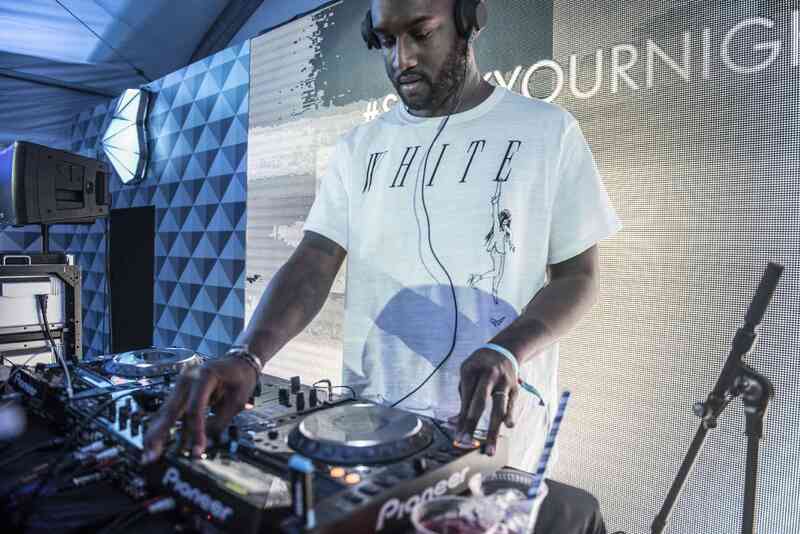 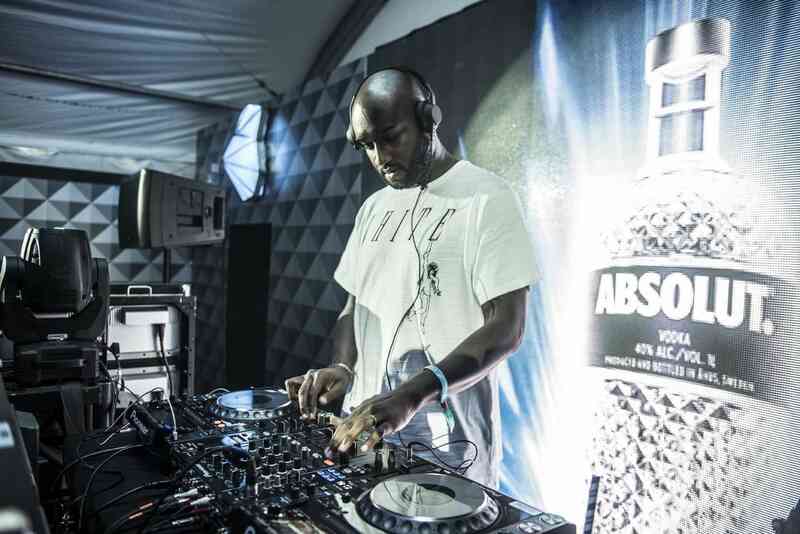 Although at this point nobody knew that Kanye West Creative Director Virgil Abloh's appearance would be a harbinger for things to come, the energy was real high as the DJ—performing as FLAT WHITE—took the stage at the Absolut Spark Bar on the second day of Coachella weekend two. 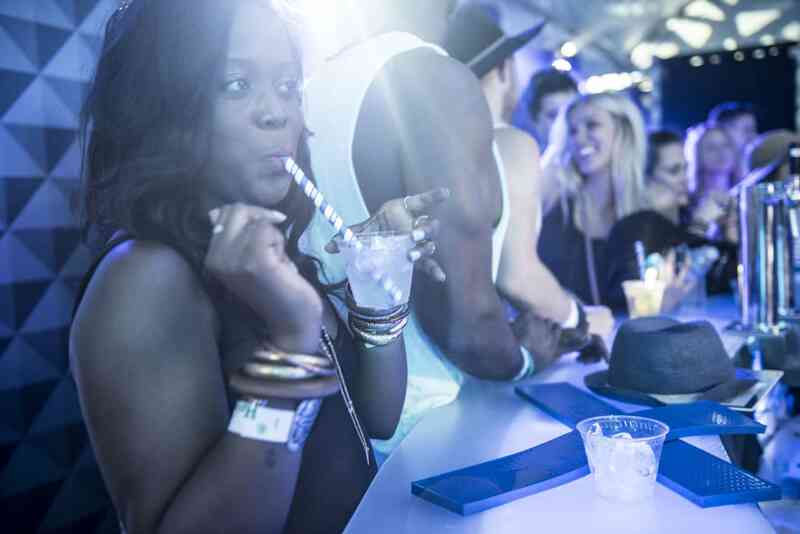 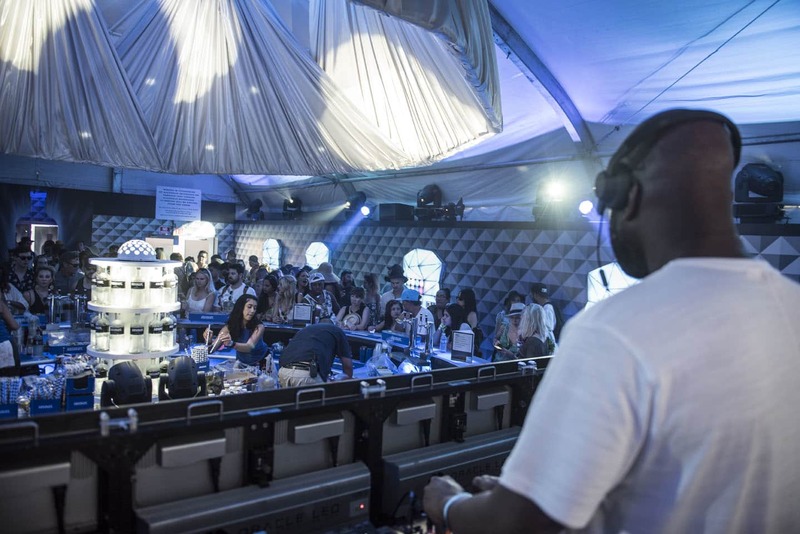 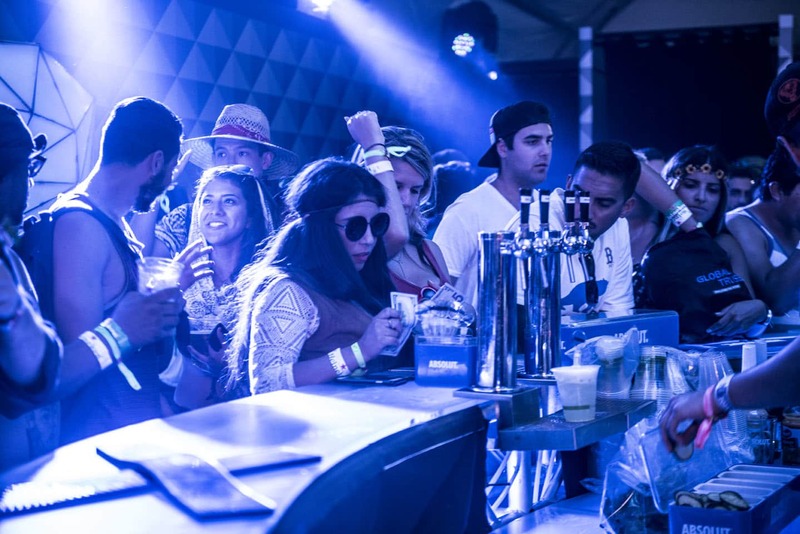 Offering a brisk break from the unrelenting heat, the bar was bathed in blue and took on an almost ominous feeling as Abloh's set began. 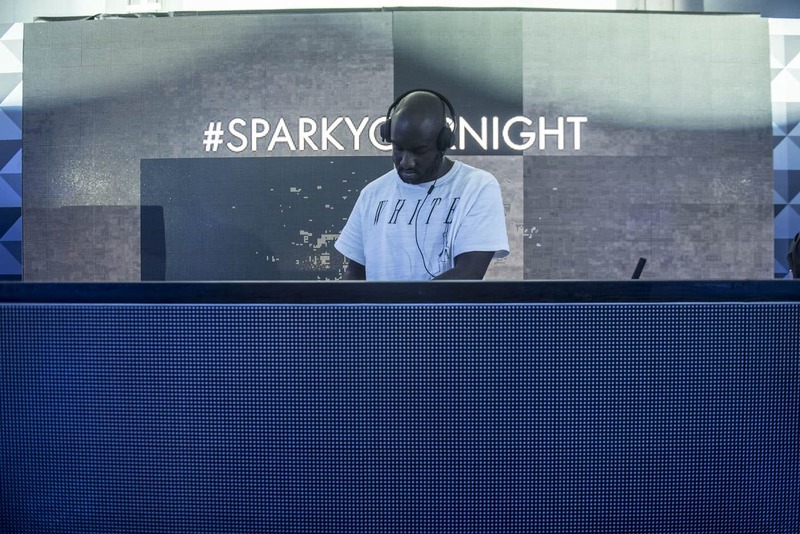 That was quickly replaced with something much more akin to wild abandon as the DJ dropped a mixture of Kanye staples like "N*ggas In Paris," tracks from Hudson Mohawke's latest as TNGHT, and Rae Sremmurd's "No Type," perhaps referencing another surprise appearance from the festival, when one half of the duo took the stage with DJ Snake on Friday night. 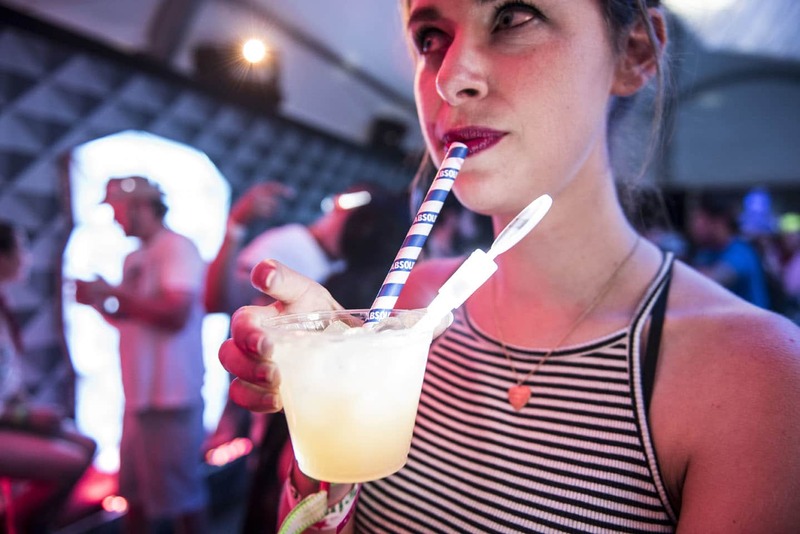 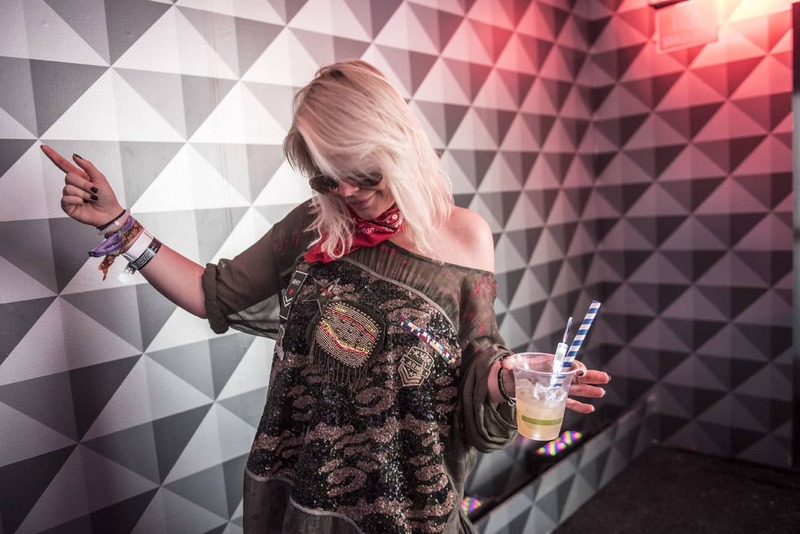 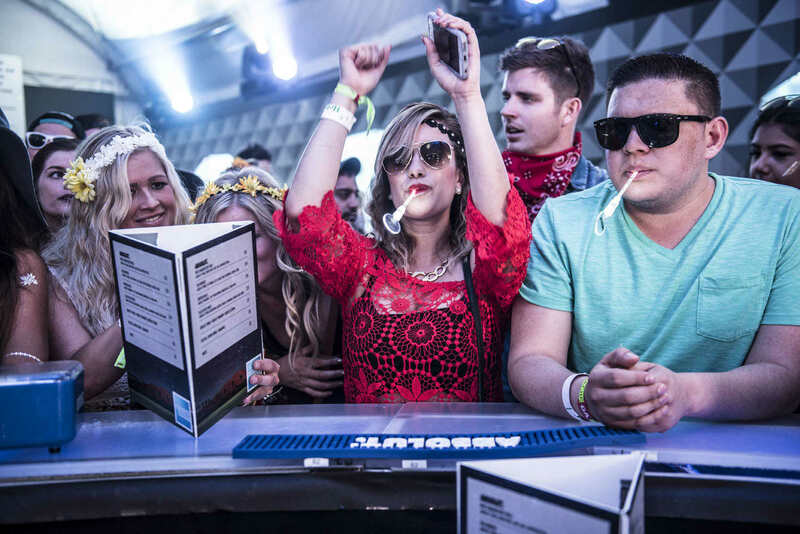 Walking into the Spark Bar was like walking into a whole other Coachella, with revelers dancing like they had wandered out of the desert and right into the club. 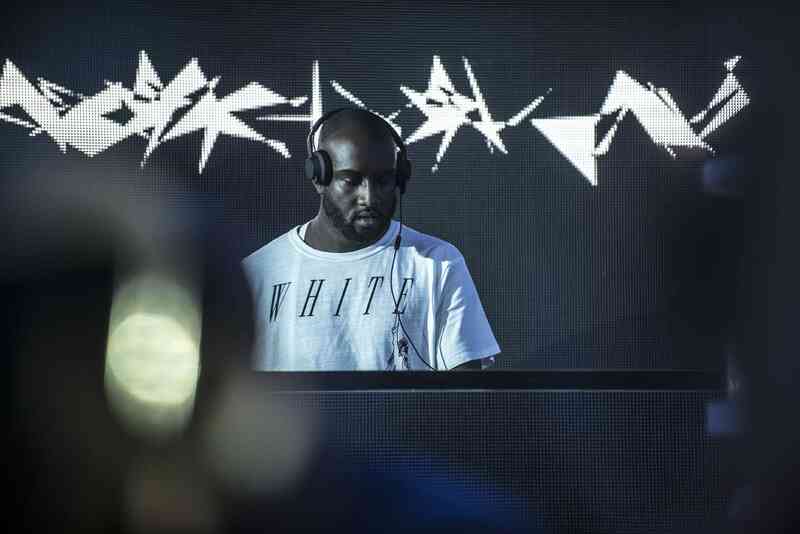 Sun-kissed girls, guys with their shades still on inside, and even two gentlemen dressed as sharks got down to Abloh's set, which jumped seamlessly from genre to genre. 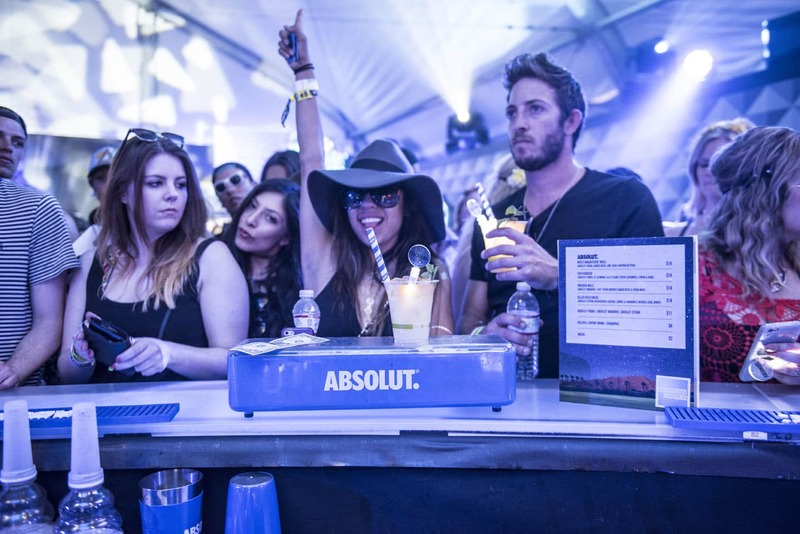 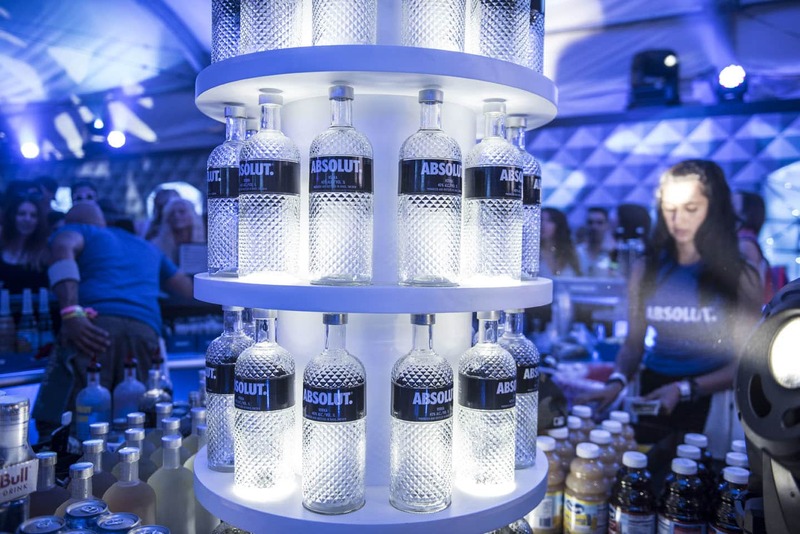 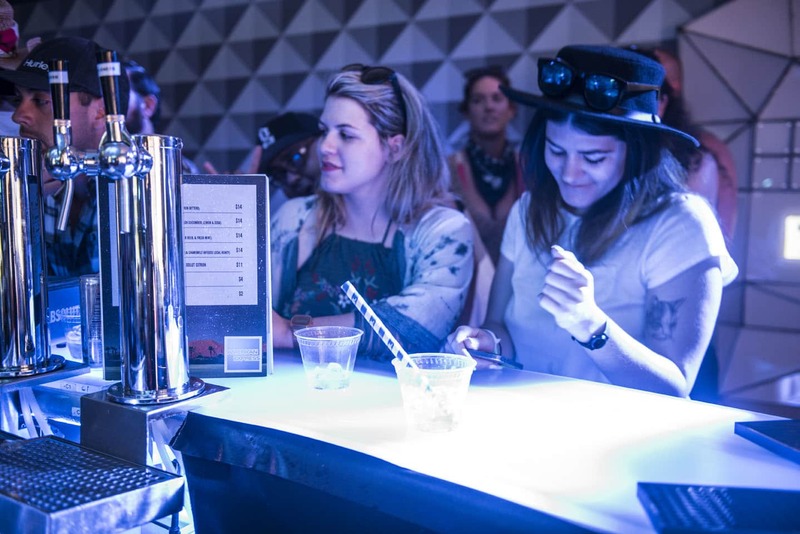 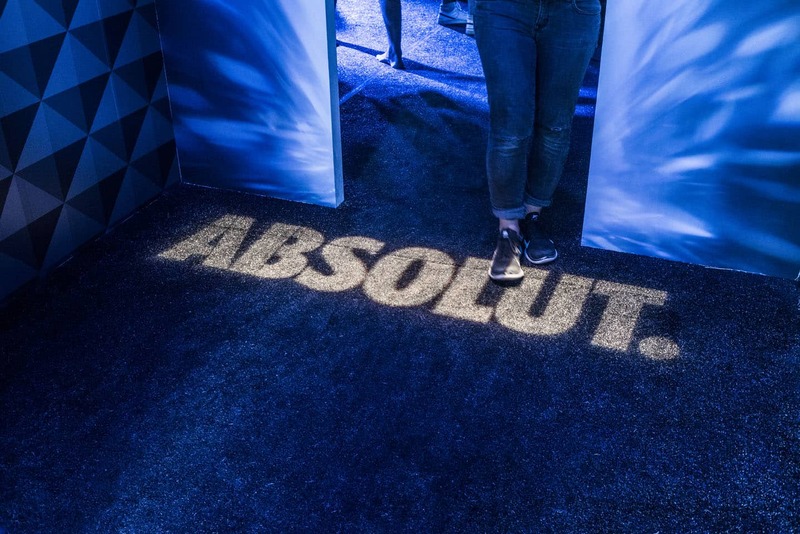 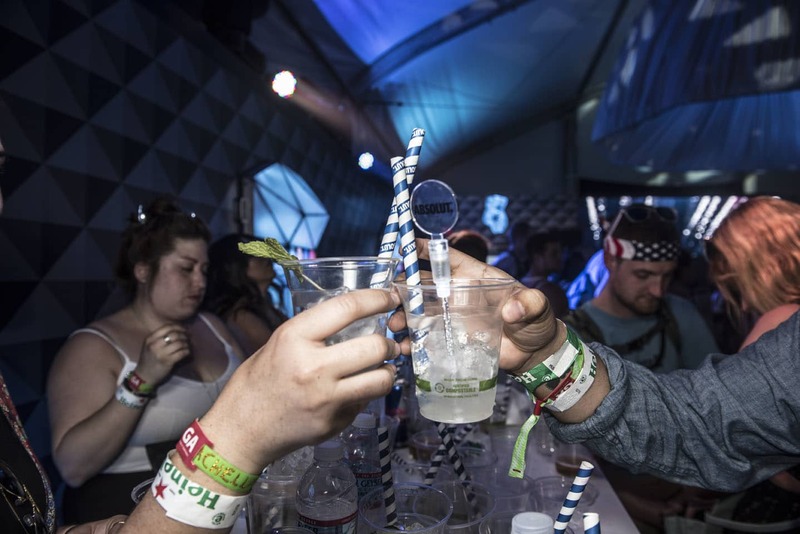 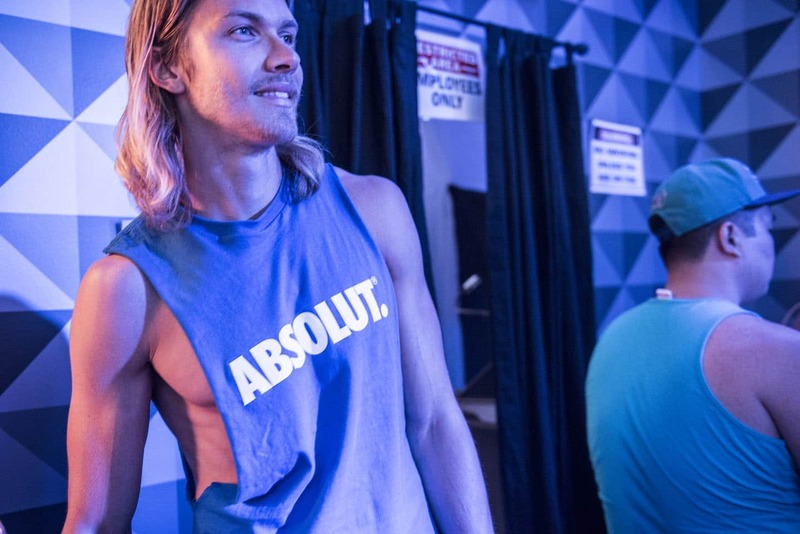 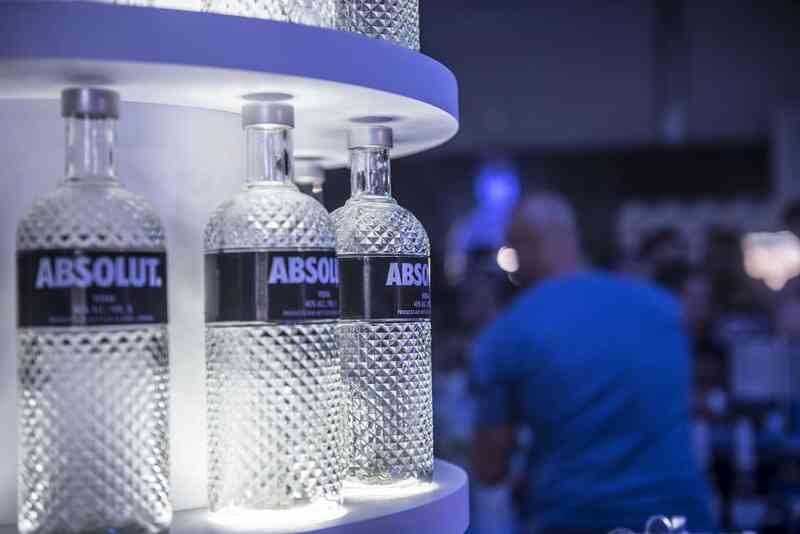 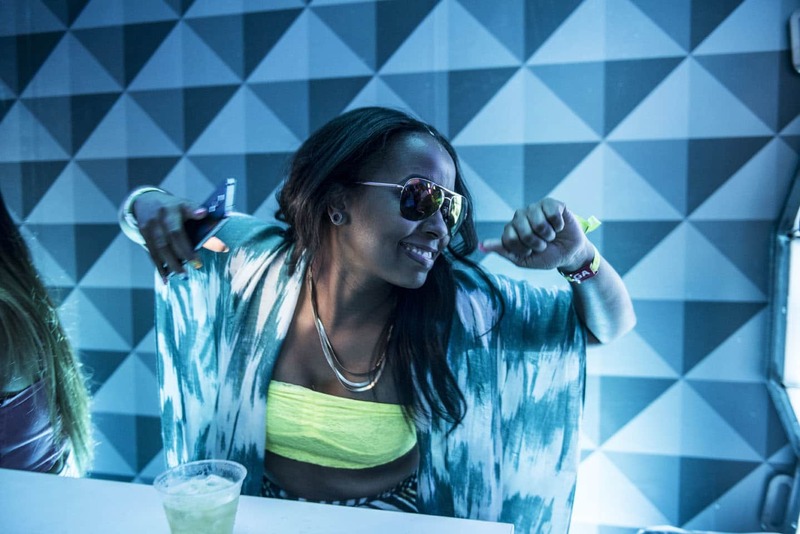 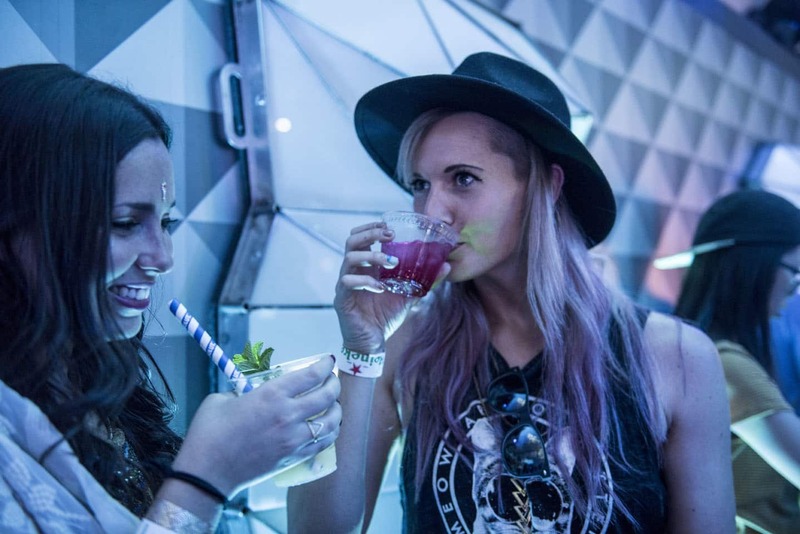 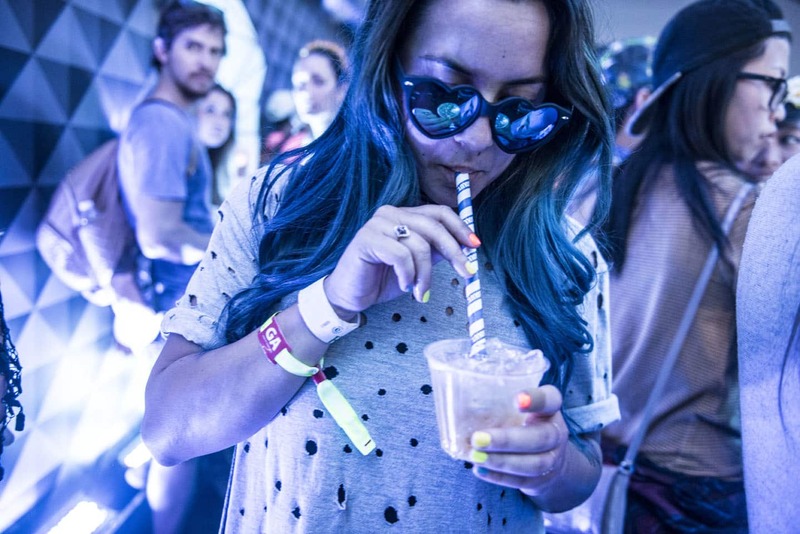 Attendees danced without inhibitions, sipped Absolut cocktails, and took photos in the GIF booth using the #SparkTheNight hashtag. 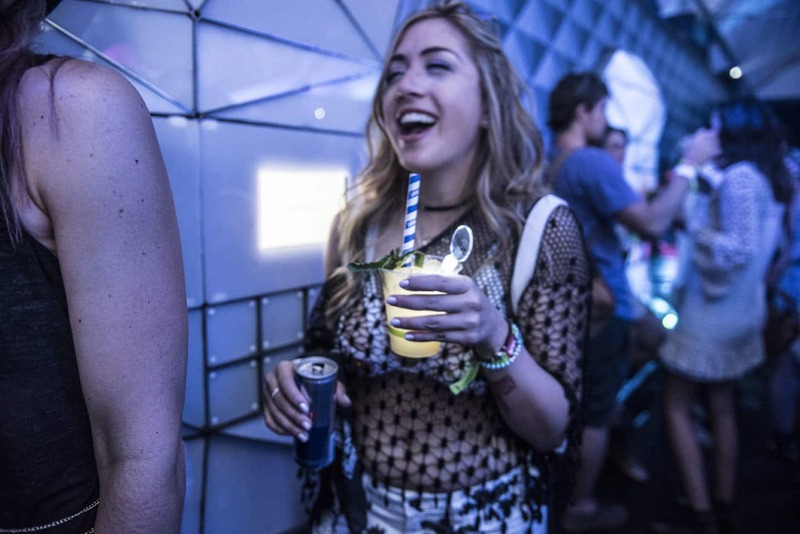 The sun was just beginning to set, and the experience was a flawless way to kick off what would turn out to be one of the most memorable nights of the whole weekend.